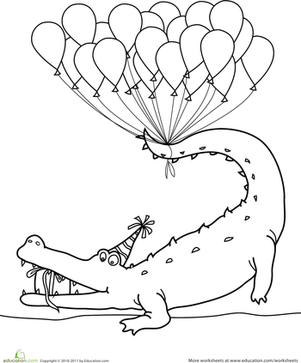 The alligator on this "Happy Birthday" coloring sheet looks like he's ready for a party. 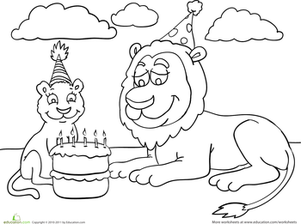 He has a gift in his mouth, a party hat on his head, and he even has a bunch of balloons tied to his tail! 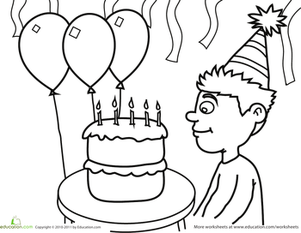 Can your child count how many? 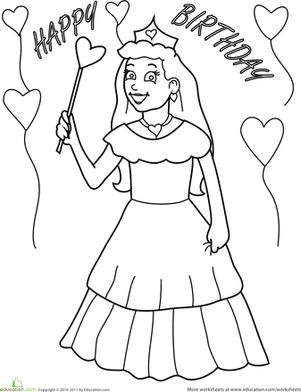 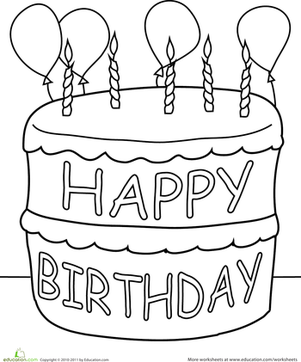 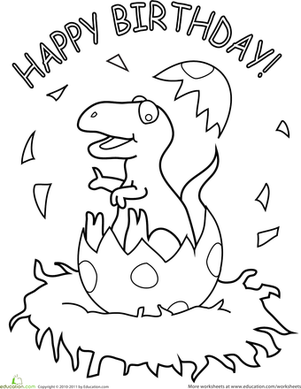 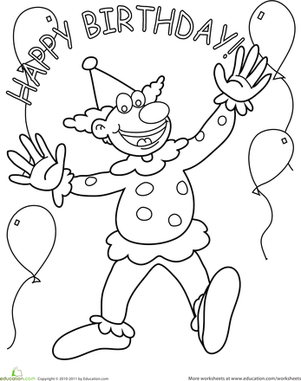 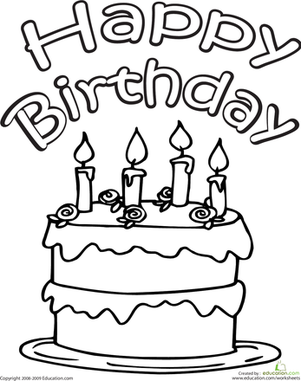 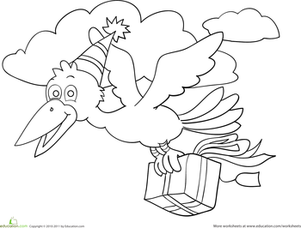 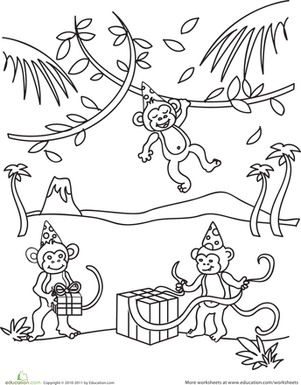 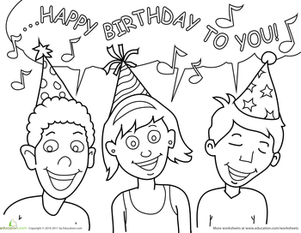 Check out more birthday coloring sheets Here.